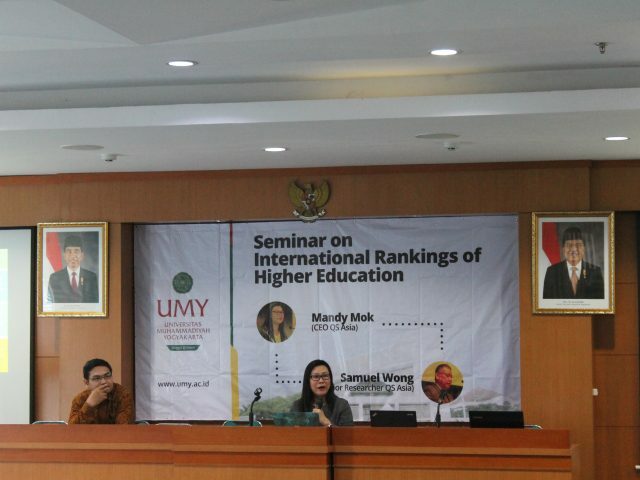 Universitas Muhammadiyah Yogyakarta (UMY) held a seminar on International Ranking of Higher Education which is presenting one of the university world ranking organizations that receive International Ranking Expert Group (IREG), namely QS Stars. 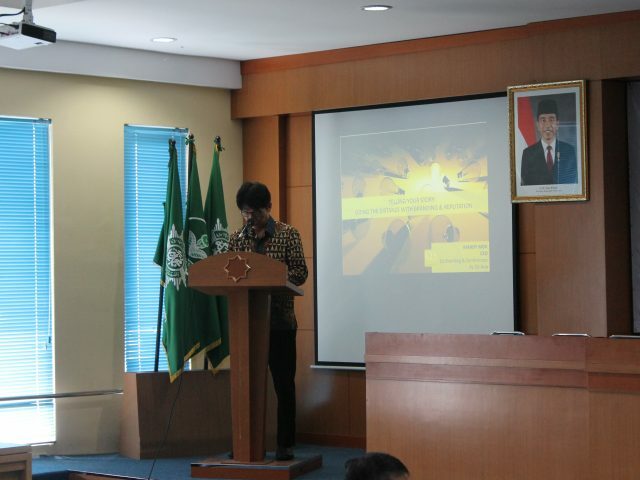 As the rector of UMY, Dr. Ir Gunawan Budiyanto, M.P officially opened the event. UMY invited the QS Asia Chief Executive Officer (CEO), Mandy Mok, and Senior Researcher of QS Asia, Samuel Wang, as the keynote speakers in the seminar at Amphitheatre, Pasca Sarjana UMY on Wednesday (27/2). In the first session, Many Mok attempted to explain the company profile at the beginning of her presentation, that stated about QS Stars’ credibility in the world stage. She explained that QS Stars is a University World Ranking Organization that has high quality with affordable price and provided facilities, one of them is WOW Magazine. WOW Magazine is a news portal intended to all universities sharing their work and achievements to the world by publishing the news through WOW Magazine. In the second session, Samuel Wong explained the research methodology of QS Stars in determining the universities ranking. 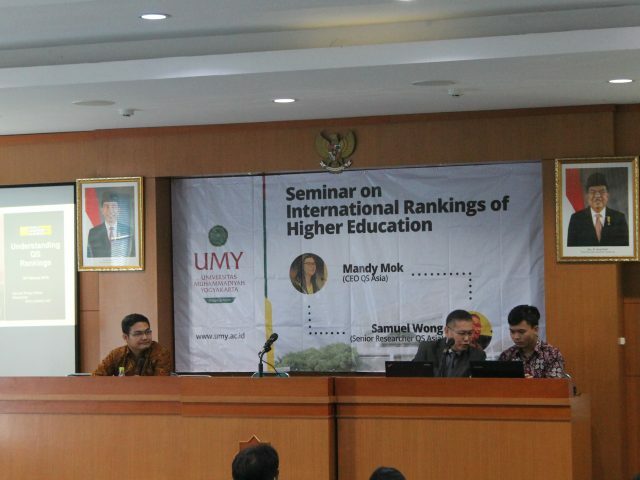 The ranking system is defined by four aspects, which is research, teaching, international, and employment.